The world’s future innovators, problem solvers and engineers are convening in Louisville, Kentucky as part of the world’s largest robotics event: The Robotics Education & Competition (REC) Foundation’s 12thannual VEX Robotics World Championship, presented by the Northrop Grumman Foundation. The REC Foundation’s VEX Robotics World Championship is a week-long event celebrating hands-on STEM learning. 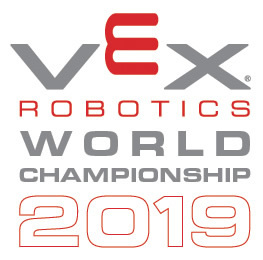 Held April 24 – 30 at the Kentucky Exposition Center, the world’s top teams gather to compete in robotics competitions focused on creative design and problem solving.